Canada is a dream land for the millions of immigrants travel to this part of the world with various ambitions and goals every year. It’s a land of opportunities for the skilled workers, students, and business persons. As per a report every year Canada welcomes more than 250,000 immigrants from all parts of the world. However, if you are a new immigrant in Canada and have not done any homework about the Canadian society, lifestyle, job and business prospects, housing and accommodation facilities, etc. then you might face challenges after landing here. Well, through this article, we want shall update you with one of the most crucial aspects for new immigrants in Canada, i.e. Housing and accommodation. In Canada you will get a variety of housing and accommodation options based on your budget and requirements. 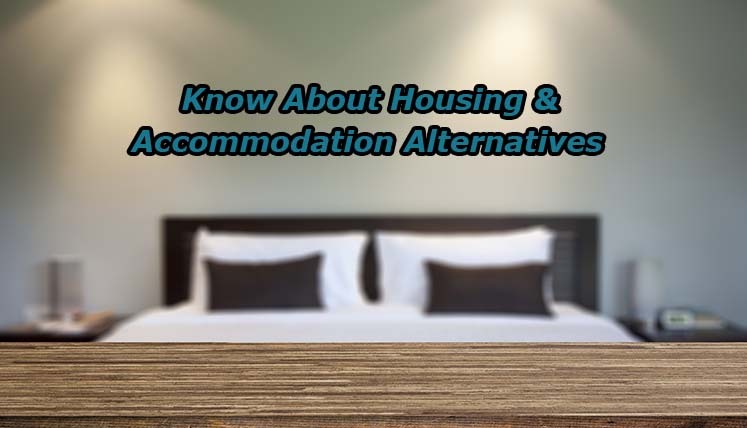 You may look out for the temporary housing option first and then later on can explore the options for buying a house or renting it in a suitable location. Once you have arrived in Canada, the first thing you often look to do is find a temporary place for yourself to stay. The temporary housing options include hotels, hostels or other such accommodations. All these hotels and hostels, etc. have their own websites. You can explore these websites to verify the details, i.e. photographs, price, location, and facilities they offer. You can also refer a travel guides, online forums etc. You may also coordinate with the local Immigrant-serving organizations. They will updated you about the options available in your budget. Rental apartments: it’s the conventional apartment with one, two, or three bedrooms. However the “Bachelor” units are often come with a single room. Need Assistance to Apply PR visa in Canada? Well, there are various aspects of visa documentation process, which needs clear understanding before you actually apply for the Canadian PR Visa under a particular immigration program. In such a scenario, help and assistance from a reliable Visa Documentation Consultancy Services can prove immensely vital in understanding the complex immigration documentation procedure and visa categories. Visas Avenue is one of the leading Immigration Documentation Consultancy Services in India. You may contact the Immigration Expert at Visas Avenue to get vital Immigration Documentation assistance to apply PR visa in Canada. Disclaimer: Visas Avenue does not deal in any type of job or job assistance services. Visas Avenue is not a job recruitment agent or job service provider. Visas Avenue does not offer consultancy on / overseas jobs/work permits/international or domestic placements and settlement services.